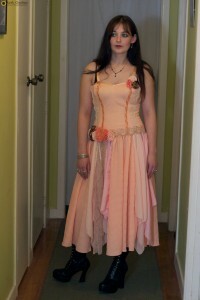 This is another dress we used in a recent photo shoot, beautifully modeled by my lovely sister. The skirt is made from vintage fabrics and lace. 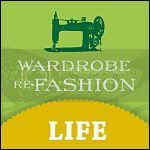 The larger pieces of fabric in the skirt are square shapes, with one corner rounded off in a similar way that circular skirts are cut. Putting many pieces together like this makes the skirt very full and swirly. The bodice is made using fabric cut from another skirt I shortened. 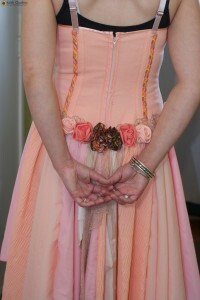 Front and back has hand made fabric roses from from vintage fabrics, trimmed with ribbon, lace and vintage braid.